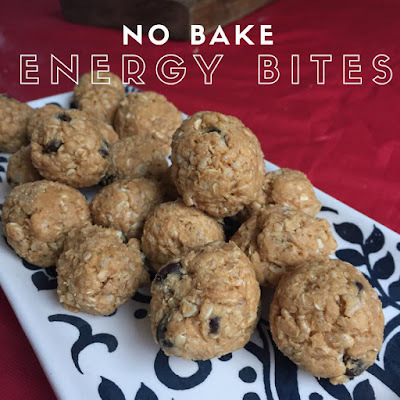 These no bake Energy Bites are so simple to make and they taste delicious. You whip up a batch and pop them into the freezer. When you are craving that prefect peanut butter and chocolate combo you take a few out and there you go the prefect protein snack for you. The original recipe is from Chef Savvy but I changed a few things so here is my recipe. Mix all ingredients together in a bowl. 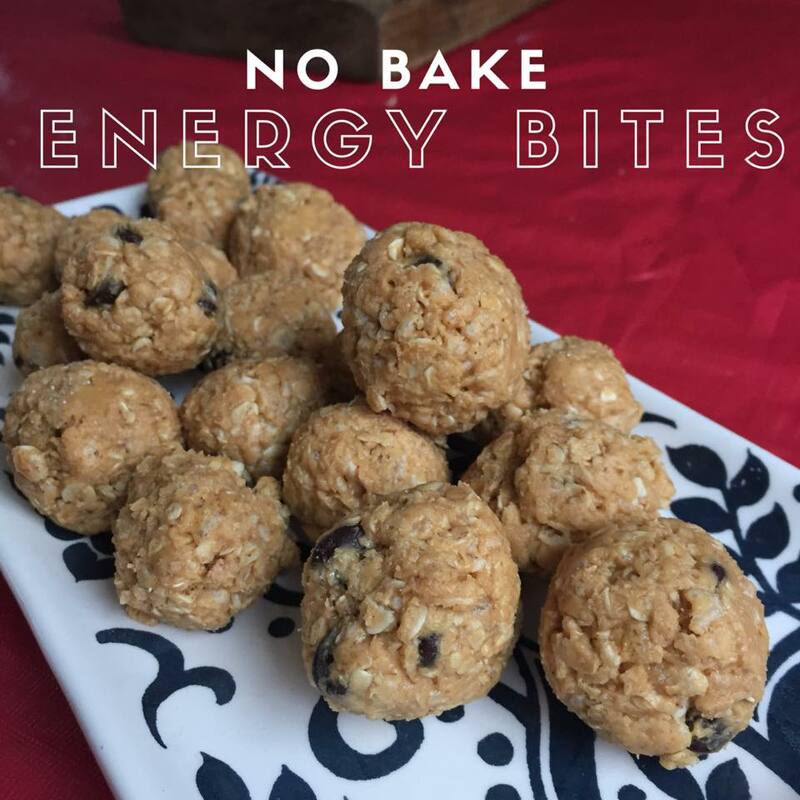 Use a 1 Tbsp scoop to scoop them out and roll them into balls. Put on a cookie sheet and place into the freezer. When frozen put them into an airtight container or freezer bag and keep frozen. I like to keep a small container that fits 4 bites in the fridge for when I need a quick pick me up.